Why don’t they make it for my car? 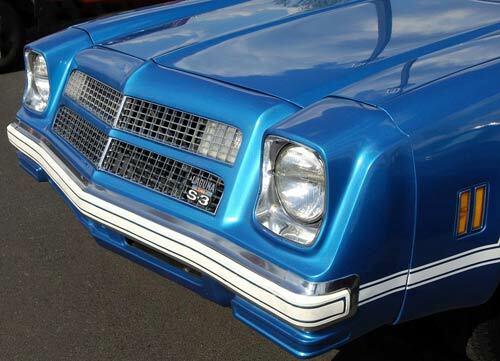 One of the most common questions in classic Chevy car circles is: “Why don’t they make this part for my car?” As a supplier and manufacturer to the aftermarket for many years, we will attempt to answer this question and shed some light on manufacturing parts for the aftermarket and classic car market. Let’s start with some history. Originally, when Chevrolet manufactured parts for your classic car, these cars were not “classic”– they were production cars. For manufacturing purposes, this means parts were built for daily use and not for show. These parts were made in very high volume dies and were designed to be produced at the lowest cost possible (to assemble a complete car to ship to the dealer). Parts were not made to perfecting standards that the restorer now expects for his pride and joy. In many ways, the aftermarket customer now demands better quality than the original part– as these parts are being used on cars for show. With the values of some classic cars going into the hundreds of thousands of dollars, the quest for perfection is at an all time high. This creates an even more involved process for the supplier and manufacturer to develop parts that meet or exceed the quality, fit and finish of an original Chevrolet part. Most manufacturing processes are designed to produce volume. We have worked with manufacturers that will not look at a part for under 10,000 pieces. Then others will run as few as 100 pieces. So volume is relative to the price the customer is willing to pay and the manufacturing process used. We’re sure you’ve heard the stories of people paying outrageous prices for parts that should only cost a few dollars. But that’s what happens when an individual wants the part bad enough and the part isn’t being reproduced. The few examples that exist command outrageous prices. People get confused by these high prices on rare parts, thinking there must be a great demand for them. This is often wrong, because there may only be one person in the world willing to pay that huge price tag. Now there may be hundreds of people that would pay a high cost for a part they really needed (that wasn’t in production), but that still does not address the thousands of units needed to do a run of parts of this type. Most manufacturers require volume in the thousands to be able to cost effectively produce a part. The demand in the marketplace often times does not meet the volume requirements of a given process, which is often the case with classic car parts. This creates a dilemma for the aftermarket supplier in the classic car parts business. People ask us why we don’t make a given part for their car. Well, there are a lot of steps involved to make a new reproduction part that to the consumer may look “simple” or “cheap”. We will explain some of the dynamics of making parts for the aftermarket. First step is market research. This will determine the demand for the part and the value of the requested part. This entails researching the number of cars originally built, as well as the estimated number of cars currently on the road or still in existence. You may have a part that is really in need by a specific group of people, but if there is only a hundred of those people willing to buy the part, the demand is not sufficient for the cost or volume requirements of manufacturing. Once it is determined that a part is in significant demand and should be reproduced, the tooling development process can begin. The engineering time to properly replicate a part and then the hard costs of machining are extensive. A small plastic part like a radio knob can be in the $10,000 – $20,000 range for production tooling. The impression many hobbyists have is that the smaller the part is, the cheaper it must be. Not so in tooling; sometimes the smaller parts can be the most expensive to tool up due to the design. To make most of these parts, there is an incredible amount of labor hours for the engineering aspect. Then you have the raw cost of the tooling steel or material, then the machining time to create the shape and design of the parts. After all that, there’s the testing stage. This is where materials are tested and a first article is made for fit and product quality testing. 630 ton die casting machine use to make emblems. Let’s take something as small and “simple” as a hood emblem for instance. It can take 6 months to a year to get that part the market. There is a computer CAD designer who draws the part, there is a tooling engineer to machine the tool, and a heat treating facility to treat the tool. Then it’s over to the die caster. 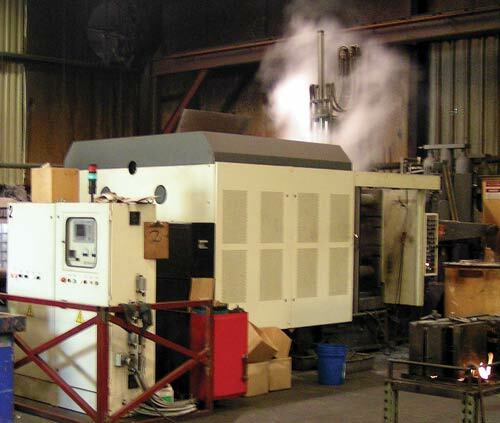 The parts are run on a 630 ton die casting machine, trimmed, de-gated and cleaned. Then they head off to a chrome plater that applies the chrome finish. Once this is done, the parts are put back in containers and delivered to the painting facility to apply factory paint pattern and color. Then the part is inspected, packaged and shipped to you, the customer. The actual production of a small emblem like the one shown is very involved. A production run can take several months with all the handling required to make a superb quality part. Another process used is metal stamping. 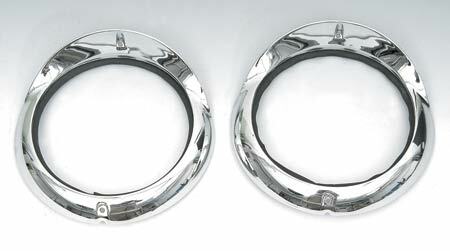 To make a headlamp bezel, there is a tremendous amount development cost. Because of the complex shape of these parts, there may be six to ten different dies to create the design of one headlamp bezel set. In stamping deep draw parts like a headlamp bezel, it’s a lot like cutting your lawn. What we mean by this is that when the grass is tall, you cannot cut it down in one pass, you must make multiple trips to get it down to the level you want. Same principle with deep draw stampings. This first die does one part of the shape, the second die draws more depth and detail, and so on. In stamping sheetmetal like an inner fender panel, the dies can weigh as much as 10,000 pounds to make a small sheet metal part. Parts as large as quarter panels are in the 50,000 pound range for tooling and require presses upwards of 1000 tons. This all equates to very expensive tooling and equipment. Once a tool is built and tested, a prototype is made for test fitting. The part is then checked on an original car for fit and finish. 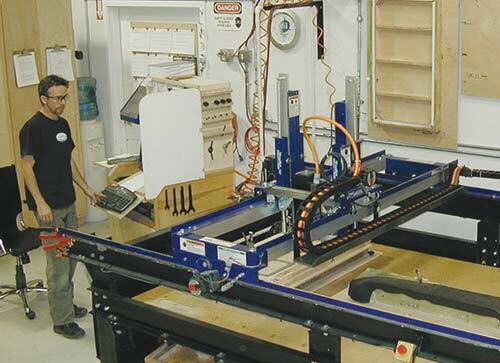 In general, the most complicated and expensive part of the process is the tooling. After the part is tested and has been approved for fit, we can begin production. Most manufacturing processes require volume for affordability. On aluminum stampings, there is typically a minimum run of anywhere from 1000 to 2000 units to be able to set up the job. If the quantity is less, the manufacturers who make these parts will not run the parts, as there is too much setup involved to make less. If they are able to run less, the cost goes up because in most production manufacturing processes there is what is called a “break in” or setup period. When equipment is first started up, the results can vary. Temperature, moisture, and material variations can all affect the finished part. So 50 to 100 parts maybe be lost just setting up and testing before parts are produced that are acceptable to the customer. Also, special material is often required for each order, which has its own minimum run requirements. The cost of doing all of this is significant. Because we can only sell so many of these parts (maybe 200-300 per year), we have the holding cost (for the manufacturing money spent), and the cost of placing the parts in inventory. In the case of reproducing parts for a Tri-5 Chevy, where the sales demand is much higher than say, a ’72 Impala, there is a cost factor that allows manufacturers to run more parts in production and bring the cost down. Unfortunately, in many cases, the quality is not maintained in higher volume – all in the name of lowering costs. So as you can see, there is a lot involved in the manufacture of parts for your cars!